On October 10, Tejashwi was interrogated by ED in association with money laundering in the railway hotel allotment case as the agency was unsatisfied with Yadav's earlier probe. 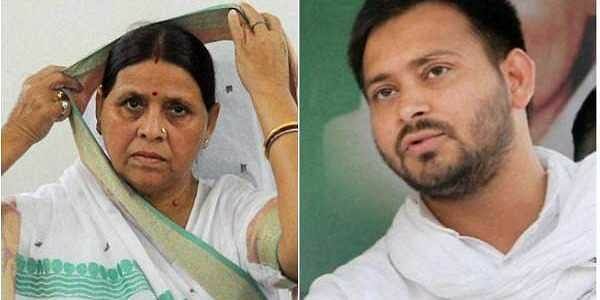 NEW DELHI: The Enforcement Directorate (ED) on Friday issued a notice to former Bihar deputy chief minister Tejashwi Yadav and former Bihar chief minister Rabri Devi, asking them to appear on November 20 and November 24 respectively, in connection with the IRCTC hotel scam. Earlier on November 13, the ED questioned the former Bihar deputy chief minister in connection with the scam. On October 10, Tejashwi was interrogated by ED for eight and half hours in association with the case. He was questioned about money laundering in the railway hotel allotment case as the agency was unsatisfied with Yadav's earlier probe. Tejashwi also failed to depose before the ED after ignoring three prior summons in regards to the same case. The investigative agency had, in July, registered a corruption case against Lalu, his wife Rabri Devi, Tejashwi, Sarla Gupta, wife of Prem Chand Gupta, Vijay Kochar and Vinay Kochar, both directors of Messer's Sujata Hotel Private Limited, Messer's Delight Marketing Private Limited, P.K. Goel, the then Managing Directors, IRCTC and others under Section 120B read with Section 420 of the Indian Penal Code (IPC) and Section 13(2) read with Section 13(1)d Prevention of Corruption Act 1988 in connection with the case. The FIR, lodged by the CBI against the RJD chief, stated that there were irregularities in awarding the tender for development, maintenance and operation of the BNR hotels in Ranchi and Puri when Lalu was the railway minister from 2004 to 2009. The investigating agency has alleged that the tender process was rigged, manipulated and the conditions were tweaked by the then railway minister to help a private hotel company.